The Azure L Chandelier from the Eichholtz lighting collection features a bevelled clear glass frame crafted into an open rectangular shape. Choose from either a stylish bronze or nickel finish, this contemporary chandelier design also features three bulb placers to illuminate your space. Hung from a solid rectangular panel with chain supports, the length can be adjusted to suit the ceiling height of the space. 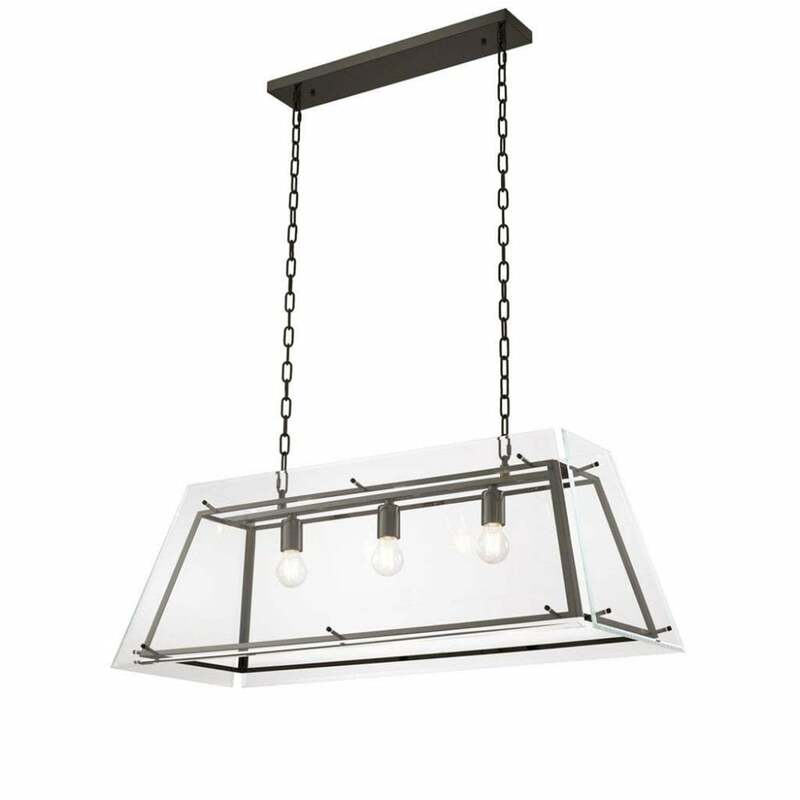 The Azure Chandelier will add industrial glamour to any home or commercial project. Also available in a smaller size, make an enquiry for more information.